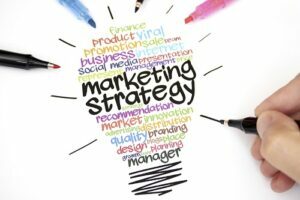 Your marketing strategy is essential to the success of your company. Without it, you likely can’t bring in the revenue to create a successful company. And while not one marketing strategy is going to work for every company, you must be creative and innovative when establishing marketing strategies that work and provide results for you. As you look at your own marketing strategies, here are four changes to consider to improve your company sales. You know that a successful marketing strategy requires a complete focus on your target audience. However, storing, organizing, and managing all this data can be burdensome on companies and if not done well, the information can become worthless. Using The Manitoba Business Directory to generate lead and look up company information can help solve much of the problem. The Manitoba Business Directory provides extensive profiles with data regarding the company’s annual sales revenue, company history, executive information, etc. Using this one resource can not only save you time as you create your marketing strategies, but help you customize them to your audience. If you have a business who makes 50% of your sales each month, you may need to start paying more attention to that company and making sure they receive exquisite customer service. While it is important to make every customer feel like they are your best customer, when you make sure your top customers are happy, they are more likely to continue making these purchases and are more likely to bring in referrals. Sometimes you may believe you have a great idea and give it everything you have, only to fail and lose it all. Before you take any large risks on what you believe to be a fantastic marketing strategy, start small and do trial runs. Make sure your tests show potential success before risking too much. Networking with others in your industry and developing relationships with individuals in other companies can be extremely effective in your marketing campaign. It not only helps you receive referrals, but it also is a great way to subtly promote your services and products, host events and sponsor teams or athletic events. Basically, it provides more sales opportunities with very little work.